The original setup for this installation consists of a military tent from WWI, a toy Edison-style cup phonograph kit, recording on plastic cups, a monitor, a DVD player, loudspeakers, and a microphone. We’ve got the ships, we’ve got the men, we’ve got the money too! It was 1878 when in the United States Edison patented the phonograph that was later developed into the gramophone and remained the most common device for playing recorded sound until the 1980s. In the same year, across the ocean the music-hall singer G. H. Macdermott (aka “the Great Macdermott”) introduced his War Song in the London Pavilion. It is amazing how political life changed forever since audiovisual mass media and propaganda charged pop culture were invented and eventually became an intrinsic part of public life. In 2008, exactly one hundred and thirty years after these events, we could celebrate an anniversary of audiovisual industry and jingoism – with Russia becoming again the world’s Evil, with the US presidential campaign in which a remote war that can be seen as a perfect example of jingoism was described as “God’s Plan” and with the Blue Ray (probably the last hard copy media) slowly becoming world standard. 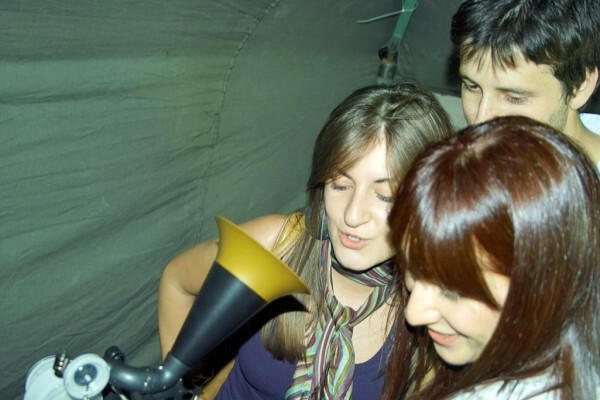 To remind us of all these events, Petko Dourmana invited in his Chain Reaction Pavilion everybody who wanted to sing Macdermott’s war song Jingo with a karaoke set that uses a toy Edison-style cup phonograph. In the plastic cups, used as recording media, visitors earned a free beer after singing.